Make a bold statement with this luxurious centerpiece. 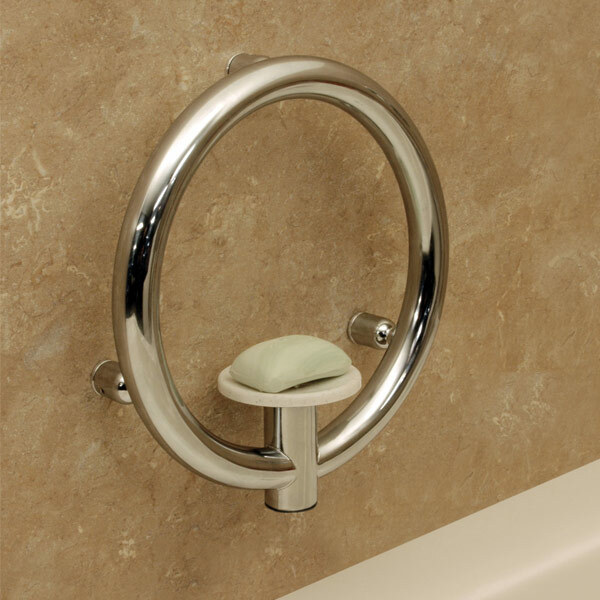 The Soap Dish with Integrated Support Rail features an easy to clean removable soap dish, highlighted by an elegant circular support rail that provides just the right amount of assistance. - Multi-Contact wall support. While two-point contact with the wall structure is standard for most support rails and bathroom accessories, much of the Invisia Collection overachieves with up to 4 points of contact for maximum structural support. - Overall Product Diameter: 12"
- Soap Dish Diameter: 4"
- Clearance from Wall: 1.5"